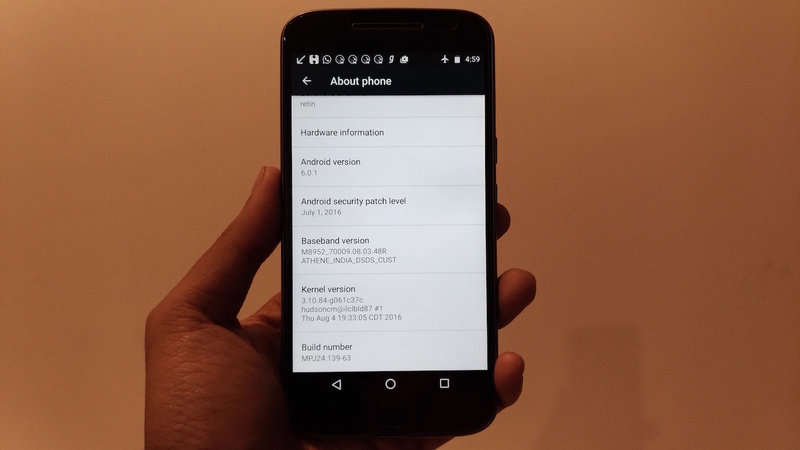 A while back, Motorola started soak testing the Android 6.0 Nougat for Moto G4 Plus and Moto G4 in Brazil and India. For those unaware, soak test updates are rolled out by the company to smaller test groups for monitoring performance and user feedback before releasing the final update widely. 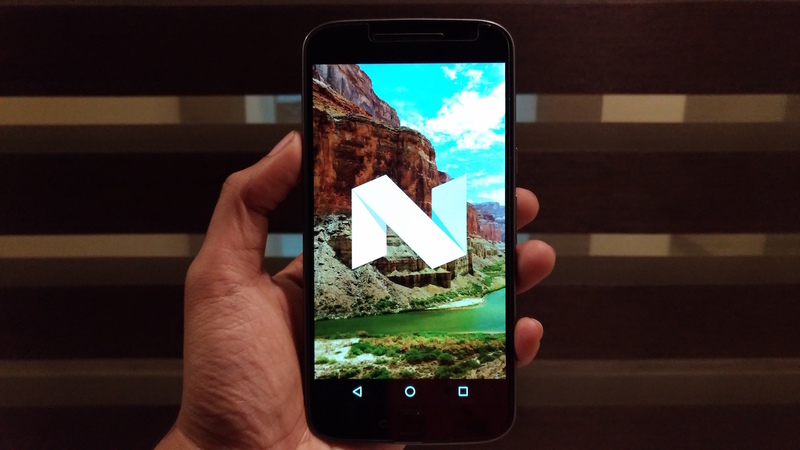 As reported by some users, they’ve started receiving the Android 7.0 Nougat OTA software update for Moto G4 Plus and Moto G4 in India. It should be noted that this is a final update and not a soak test build. Generally, such major OTA updates are rolled out in batches and can take some time to reach your device. However, those curious to try out Nougat can rather install the OTA update manually by following the simple steps stated below. To do so, power off the phone. Then press Volume Down and Power button simultaneously for 3-4 seconds. Then navigate to Recovery using the volume rocker and press Power button to select. 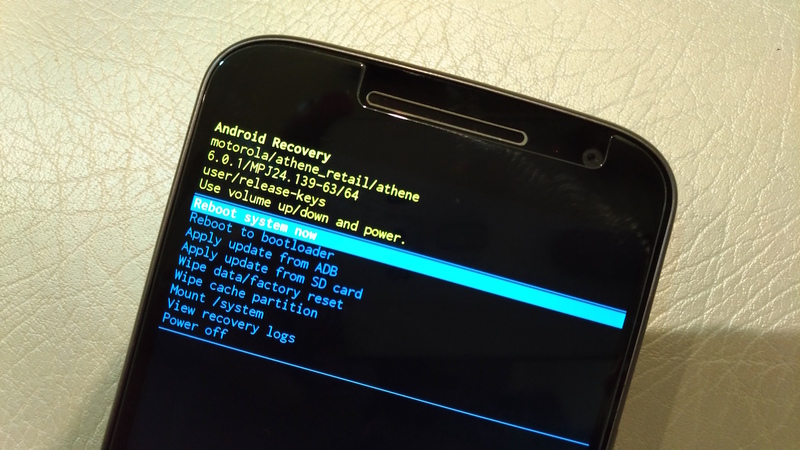 When you see the Android logo with ‘No command’ message, simply press the power key for 2 seconds and then press the Volume Up key to enter into recovery mode. 5. 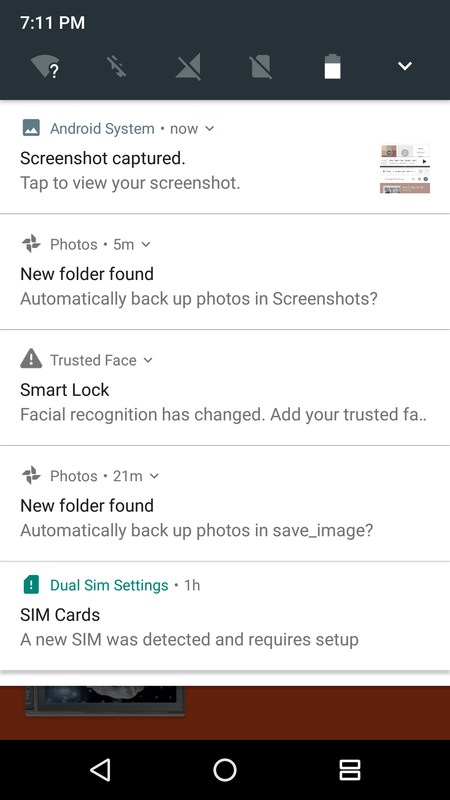 In Recovery mode, select “Apply update from SD card” and select ‘Blur_Version.24.31.64.athene.retail.en.US.zip‘ file that you transferred in #3 step. Now wait for the update to get installed automatically. The installation takes around 10 minutes, so be patient. 6. After you see “Install from SD card complete”, select ‘Reboot system now’. Now enjoy the goodness of the latest Android version and you should not worry as users will continue to receive the official OTA updates in future. We’ve performed the above process on our Indian Moto G4 Plus and it worked like a charm. Do let us know in case you’ve any queries. Will it void the warranty if i manually flash this update?? I have the soak test build NPJ25.75-2 on India Moto G4 Plus XT1643. Can I follow this process to directly upgrade to this stable build NPJ25.93-11? I\’m unable to downgrade it to earlier Marshmallow, as well as I\’m not getting OTA update on my build, hence, thought of upgrading manually. 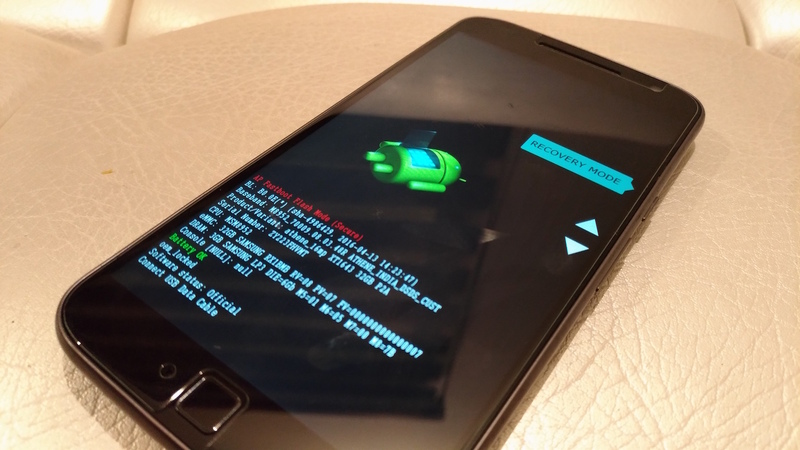 Using this method will unlock bootloader? u have to unlock bootloader and downgrade to MM then u can lock bootloader .. search online .. after that u can update this offical nogut .. I have the soak test build NPJ25.75-2 on India Moto G4 Plus XT1643. How can I get to latest build NPJ25.93-11? Please note that I am unable to downgrade to Marshmallow from NPJ25.75-2. Did you get any answer to this ? I am facing same problem. 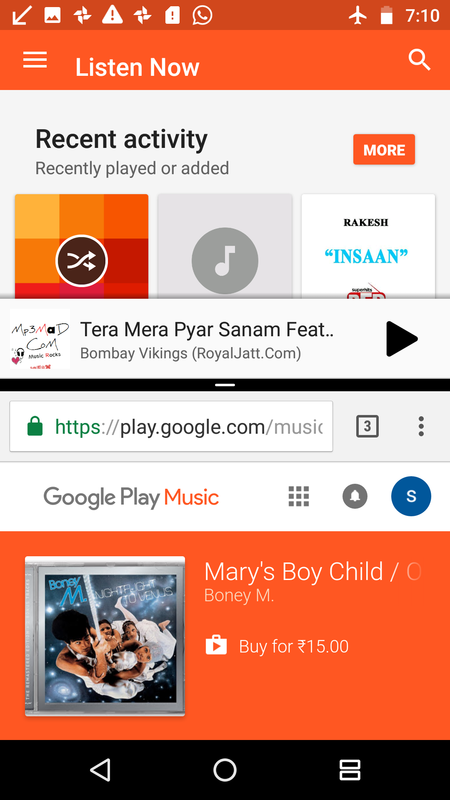 How to get latest official nougat from soak test build ? 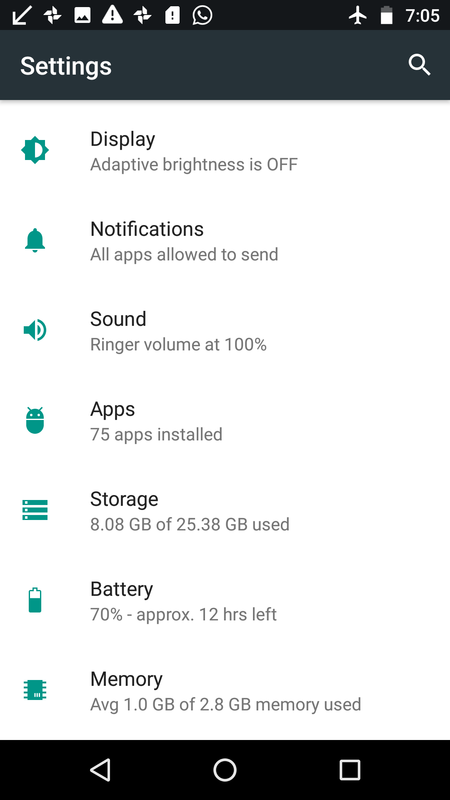 Can I delete the ZIP file from my storage after applying the update. 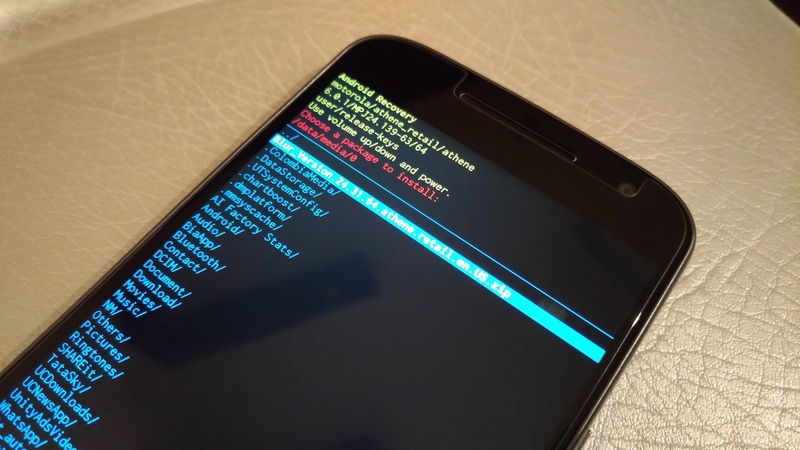 I want to know after updating with this method will my phone moto g 4 plus get rooted? Or still will be in under warranty. This won’t root your phone and won’t void your warranty. I have updated my Moto G4 Plus manually and it has Build Number NPJ25.75-2. with Android security patch level 1 October 2016. How can I update patch level with November 2016? 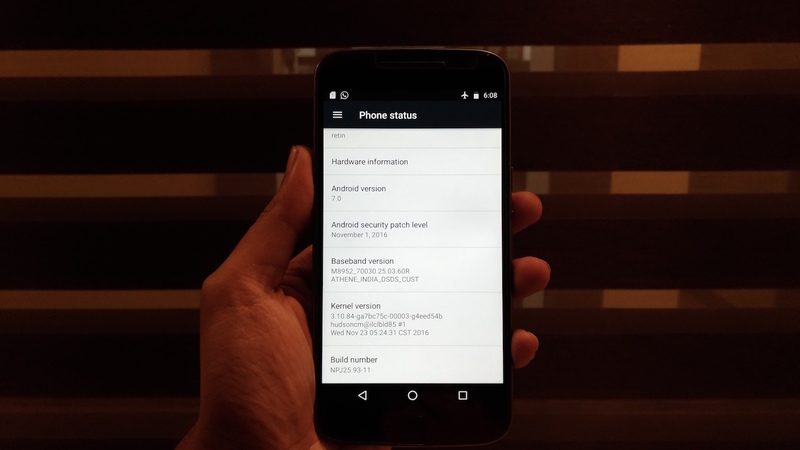 will warranty void if i update with blur version in my moto g4 plus..? 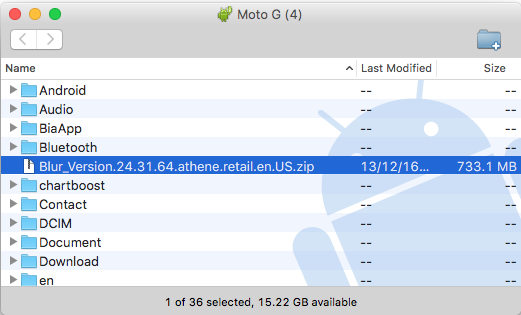 can i get future ota updates if i install this blur version in my moto g4 plus…?